After landing in Fiji, I made my way to the check-in area at Nadi Airport for my Virgin Australia flight to Sydney. 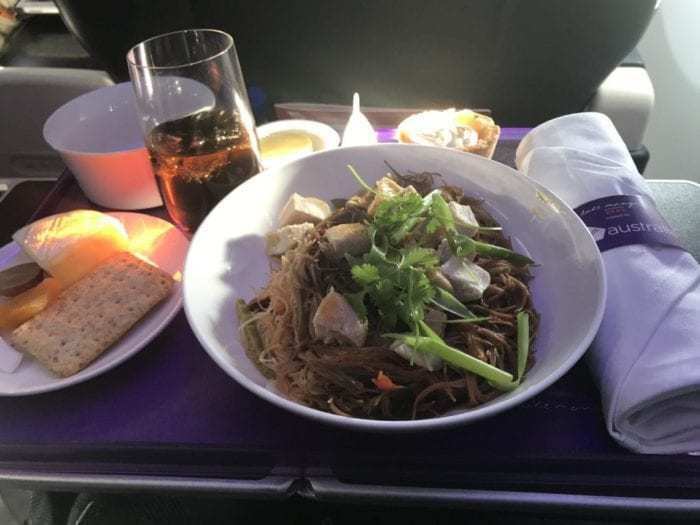 With one-way business class fares in the low to mid-$800s, I decided to use miles to book this Virgin Australia Business Class flight. I booked this flight using 40,000 Delta Skymiles. Since you can usually redeem Skymiles for close to $0.01, this made the cost of this ticket much more bearable at an equivalent value of $400. For reference, economy tickets one-way end up being close to $400 on full-service carriers. This was my third departure this year out of Nadi and I was quite familiar with the airport. The business class check-in line was short. I had my boarding pass and was through security within 20 minutes. At immigration, it took me a little while since I had to explain I had arrived in Fiji that morning on a Fiji Airways flight. After some questioning, they let me through. I made my way to the Fiji Airways lounge since I gained access through having Priority Pass. I’ve already reviewed the lounge before so I won’t do so again. It wasn’t much different from my previous daytime departure. Our flight was delayed by about 90 minutes due to a late inbound aircraft. Boarding started about 50 minutes prior to departure. I was greeted by a flight attendant, Tipu. I could immediately tell he was going to be a joy to fly with. He addressed me as Mr. Singh and welcomed me into the cabin. He was very cheerful and was pleasantly excited to see everyone in the cabin. While stowing my luggage, I knocked off my glasses and they fell to the floor. Tipu immediately alerted passengers and had them stop so I could pick them up. 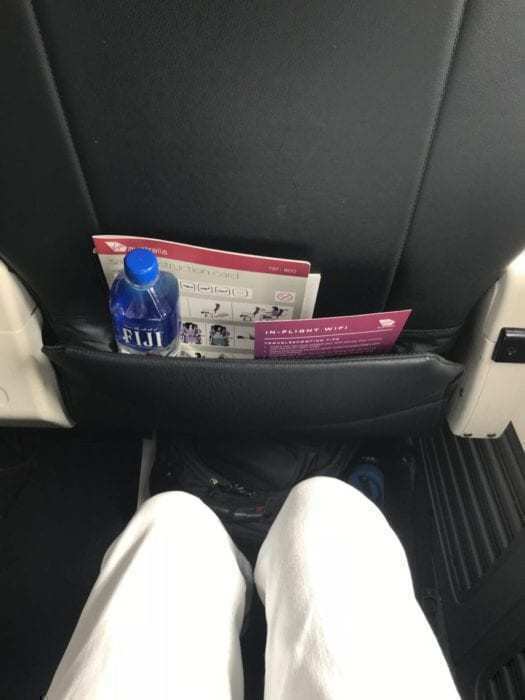 The legroom was also just right for my 5’8″ height. However, some taller passengers would probably prefer row 1 since there seemed to be additional legroom there. Waiting at each seat was a nice pillow and blanket. It was just perfect for a medium-haul flight and a lot better than what I’ve received on other flights of a similar length. 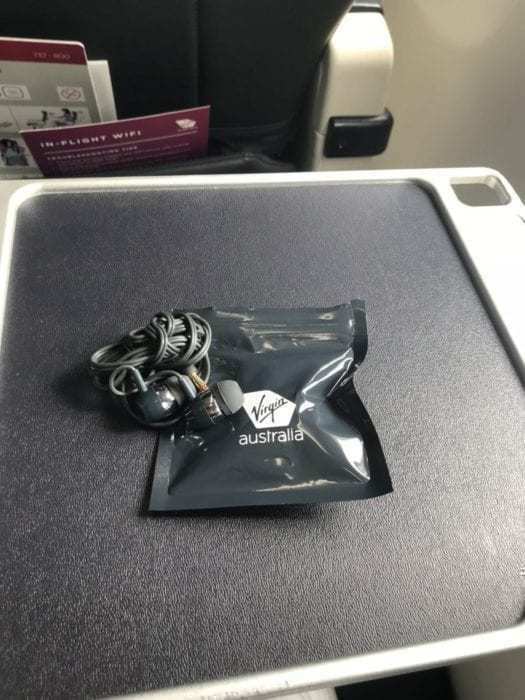 There were also headphones and a tablet for each passenger since Virgin Australia doesn’t have seatback screens. The headphones were not great in sound quality, so I ended up using my own. Entertainment content was available through the Virgin Australia entertainment app on each tablet. I wasn’t a huge fan of not having a seatback screen since it makes it a bit of a challenge to watch something while the meal is being served. I definitely prefer having a seatback screen. The tablet was fully charged, but just in case, there were universal power outlets between the seats and shared by both passengers. Shortly after boarding, I was offered a pre-departure beverage of orange juice. Shortly after, Tipu came around and offered each passenger a bottle of Fiji Water. There was a lack of storage for the bottle. Aside from the relatively tight seatback pouch, it was difficult to find a place to store things. 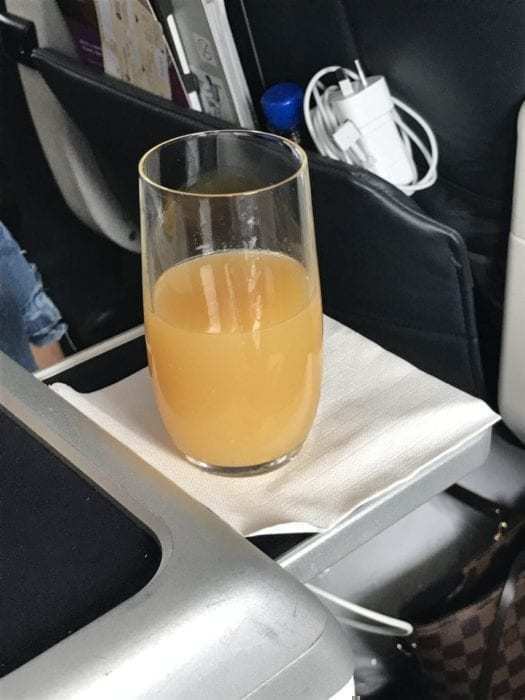 This is the norm on recliner business class flights, but it was nice to be offered water along with a pre-departure beverage. Landing cards were also passed out to business class passengers at this time. Once those were taken care of, we pushed back and made our way to the sky. The seatbelt sign was turned off about 15 minutes after takeoff. Tipu sprang into action and immediately took drink orders and snack orders from the cabin. I selected a glass of Coke and chips. The other options were wines, sparkling wine, beers, and other soft drinks and alcoholic beverages. 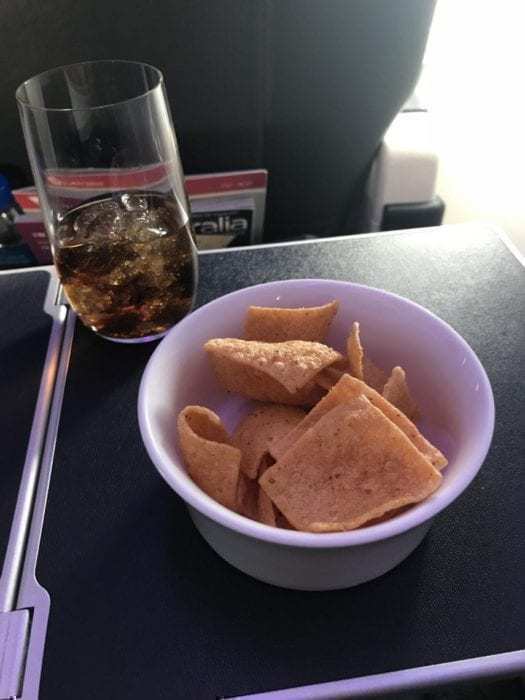 For snacks, passengers had a choice between chips or a variety of nut mixtures. I wanted something salty and tangy so I chose the chips. After this, meal orders were taken from the front of the cabin to the back. There were only three vegetarian meals which had already been selected so my only choice was Singapore noodles with chicken. There was a selection of rolls, a cheese plate, and a lemon tart on the side. Overall, the meal was quite good and presented well. Unlike some other flights, the food was not scathing hot and was instead presented at a comfortable temperature. If there was one thing lacking from the meal, it would be sauces. On the whole, the meal was very dry and I had to get a few refills of water. A yogurt or ice cream mixture would have gone well as part of a dessert to help rectify this problem. Still, the meal was delectable. After the meal service, additional snacks and beverages were offered. Tipu was a fantastic flight attendant. He was ecstatic and on top of things. As we boarded and while he took our orders, Tipu would joke around with us and make us feel comfortable. Every passenger was addressed by name. If I pressed the call button, Tipu would respond in a matter of seconds. He passed through the cabin multiple times during the meal service to offer drink refills and additional snacks. On the whole, he was fantastic for such an intimate cabin. This was the best flight of my journey to Australia. Tipu was a fantastic crewmember, the meal was great and I didn’t realize how the time passed. Our 4 hour and 22 minute flight time was unnoticeable thanks to Tipu’s attentive service and the entertainment provided on the tablet. We landed after a pleasant flight with a gorgeous sunset over Sydney. 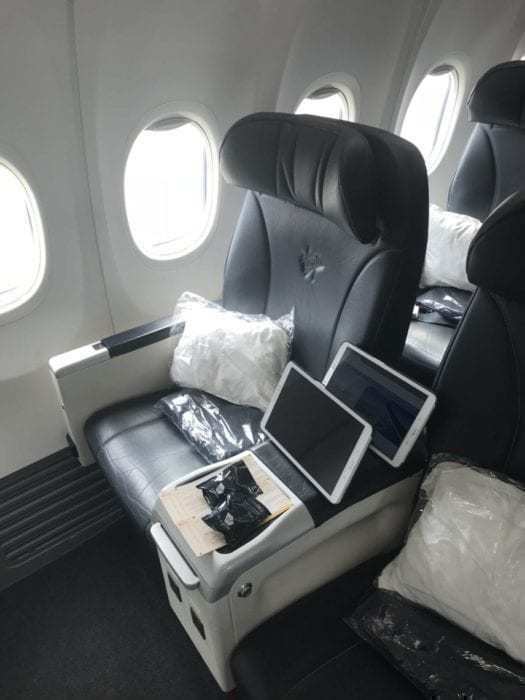 I wouldn’t hesitate to fly with Virgin Australia again! Would you fly Virgin Australia? 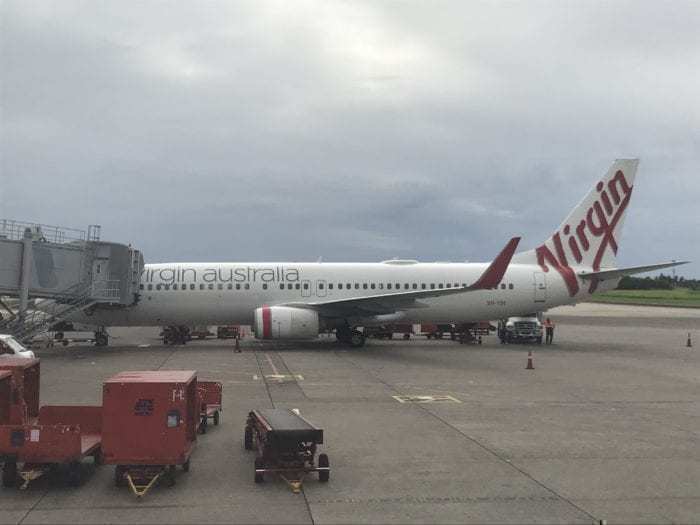 Have you flown Virgin Australia before? Let us know in the comments below!